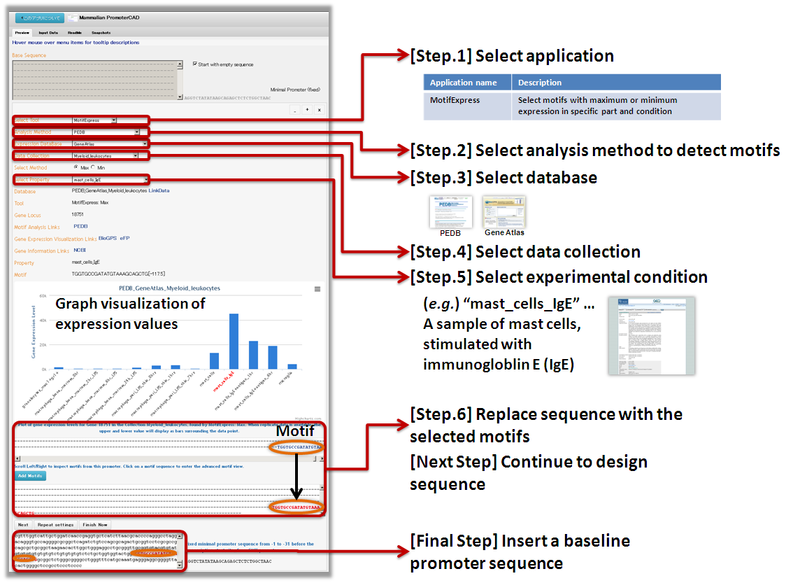 Contributor:Koro_Nishikata Update:Oct 31, 2013 43 Downloads, 1 Applications This will allow the Mammalian PromoteCAD Application to find the appropriate tools, the input data and the gene rank list. Contributor:Koro_Nishikata Update:Oct 31, 2013 39 Downloads, 1 Applications Baseline promoter sequences from <i>M. musculus</i>, calculated based on the information of NCBI genome build 33.